I really wanted to ignore NBC’s Edward Snowden interview last week. I didn’t think I would learn anything new except self serving excuses for his criminal behavior, and that was basically what NBC provided. In fact, I was so confident in NBC’s inability to ask a tough interview question that I didn’t even plan to watch it. But I was also confident any high points would hit the news and sure enough, they did. In my opinion, Snowden damaged his credibility even further by this interview, but it doesn’t seem it was reported that way. “I was trained as a spy in sort of the traditional sense of the word –” I don’t doubt that Snowden was “undercover” when he worked for the CIA in Switzerland, but that’s a far cry from being a spy. Unless we are redefining spy from Sidney Riley and James Bond to overweight middle aged analysts and Magic: The Gathering playing IT guys. That is not, as Snowden would say, “in the traditional sense of the word,” being a spy. Show me that Snowden trained on Camp Peary at The Farm and I might change my mind. “I have raised the complaints not just officially in writing through email to these offices and these individuals but to my supervisors, to my colleagues, in more than one office…” Did he? The NSA has released one email that Snowden sent to the General Counsel Office, asking if Executive Orders take precedence over Federal law. Snowden received a reply 3 days later stating that no, they do not override federal law. So that’s it? That doesn’t even address the legality of the programs Snowden released. Now, a Snowden apologist may argue that of course the NSA wouldn’t release all of the emails, they’re all in on it man! OK, let’s say there is doubt if the NSA released all the emails. Maybe they didn’t. But if that’s the case, why didn’t Snowden release his emails? I mean, the guy was bright enough to download information of hundreds of classified programs from secure servers but somehow neglected to download from his own email account emails that could have backed up his side of the story? Of course the wild claim about raising his concerns is a red herring anyway. 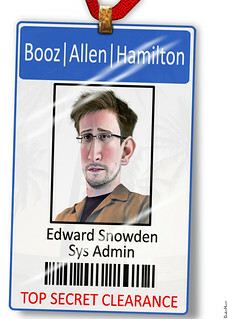 Snowden took the Booz Allen Hamilton contractor job with the NSA with the express purpose gathering “evidence” of the NSA surveillance programs as he told a Hong Kong newspaper. So that contradicts his story going through the channels and stealing secrets as a last resort. Snowden intended espionage and to damage the United States from the very beginning. 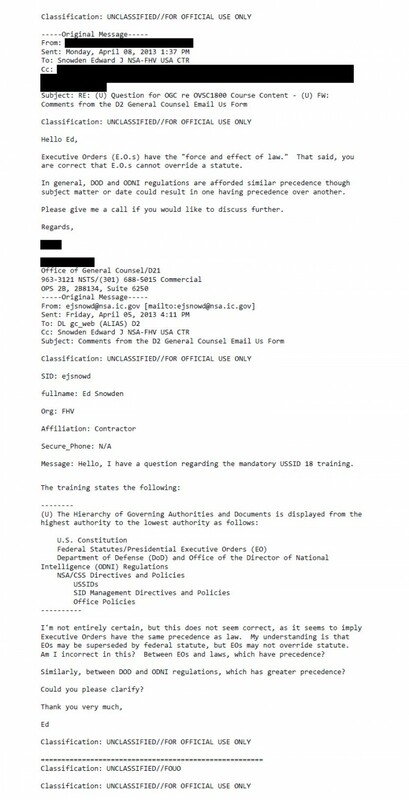 How does running to the Chinese and telling them that the US hacks Chinese computer networks square with a patriot trying to reveal NSA spying of Americans? Or that Norway shares intelligence with the US on Russia? What possible benefit to American privacy could come from that? Snowden’s story stinks and has from the beginning, and as I suspected, NBC wouldn’t bother asking any of the real penetrating questions. They don’t want us to come to any conclusions about Snowden, they just want a Snowden story. I’ve gotten into debates online about Snowden, and the basics of the “Patriot or Traitor” issue boils down to this: I understand the 4th Amendment concerns about the NSA metadata program. I don’t agree with those concerns and wrote about them last year. But I at least understand the argument. What I don’t understand is; what is the argument for releasing information about every other foreign intelligence program? None of those have anything to do with American privacy, the 4th Amendment, or US law. I’ve been waiting almost a year for an answer to that one. In the meantime, the NBC interview did show the near uselessness of having interviews with Snowden that will only be self promotion pieces. Snowden doesn’t’ need interviews, he needs to be interrogated. This entry was posted in Politica and tagged 4th Amendment, Booz Allen Hamilton, Camp Peary, CIA, Edward Snowden, Intelligence, James Bond, Metadata, NSA, Sidney Riley, the Farm. Bookmark the permalink. His claims of being a spy just confirmed my original impression of Snowden. He’s a narcissistic slacker with delusions of grandeur. He needs to be in a federal prison, not hiding in Russia giving interviews to news reporters.